Last month, Hitachi Zosen completed the world’s largest-scale waste incineration plant and handed it over to Hunan Junxin Environmental Protection Group. The facility incorporates five mechanical grate, stoker-type furnaces, that together, have a daily throughput of 5,100 tonnes. Over 500,000 MWh of electricity will be generated each year. China Jinjiang Environment has obtained shareholders’ approval for an EPC agreement to construct a pilot, first-of-its-kind mechanical biological treatment project in Tuas. The company informed AcuComm that preparatory site work started at the end of 2018 and that the plant could be operational by mid-2020. The facility will help to maximise resource recovery and prolong the lifespan of Singapore’s only landfill. 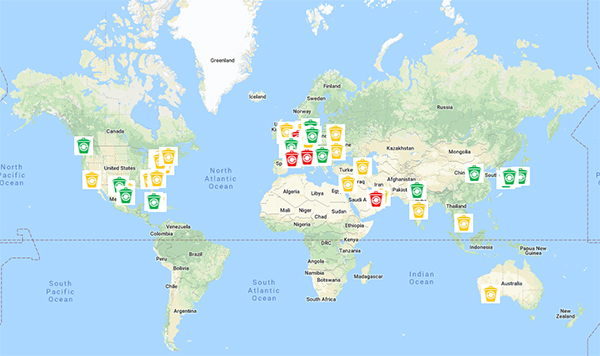 In the week ending 2nd November 2018, AcuComm added 18 new projects and updated 29 in our database. These have a combined estimated value of US$5,107 million. There are now 5,490 active projects in the AcuComm database, worth an estimated US$361.7 billion. UPM has completed an environmental impact assessment (EIA) to determine the feasibility of a new biorefinery in Mussalo, Kotka. It is part of a pre-study phase that is expected to last a year. Tracegrow has announced that its new battery recycling plant has been commissioned in Kärsämäki. ANDRITZ has received an order to supply a complete drying and incineration system to the Bailonggang wastewater treatment plant in Shanghai. As part of the contract, ANDRITZ will be providing its sludge handling technology and nine fluidised bed boilers, amongst other systems. The Ringsend Wastewater Treatment Plant (WWTP), which treats most of the wastewater from the Greater Dublin area, is to be upgraded as part of a new project. The Department of Energy and Environmental Protection (DEEP) is redeveloping the Connecticut Solid Waste System Project (CSWSP), which is currently operating the CSWS Resource Recovery Facility (RRF), the MIRA/ReCommunity Materials Recovery Facility (MRF) and various waste transfer stations in the area. The site has been operational since 1988, but is approaching the end of its lifespan and therefore needs upgrading or replacing. Last month, DEEP selected Sacyr Rooney Recovery Team to modernise the MRF, which will involve the refurbishment of the power block facility and construction of new sorting lines at the waste processing facility. In the week ended 17th November 2017, AcuComm added or updated 43 projects to our database. These have a combined estimated value of US$2,844 million. There were 17 new projects this week and 26 updates. The total number of projects in the AcuComm database is now around 4,968. They have an estimated value of US$334.3 million or US$67 million on average. The UK was the leading country in the past week in terms of project value, accounting for US$750 million. This was equal to 26.4% of the total for the week. The leading company last week was BioGTS, a contractor/engineer based in Finland. 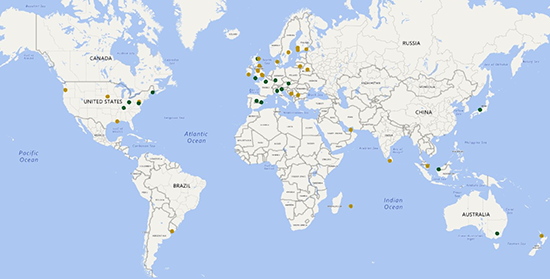 To explore the latest projects added to our database, click here.